With all of the Seattle condos for sale, it isn’t hard to find a nice one to move into. Embarking on the journey of moving your life to an entirely different location is a good way to keep things interesting, but if you’re unfamiliar with the area, it can be hard to decide which neighborhoods will be appropriate for you to live in. Finding a new home is not the only priority you should have, because the people you live around are important as well. Knowing the top three neighborhoods in Seattle can help you make a better educated decision on where to move. 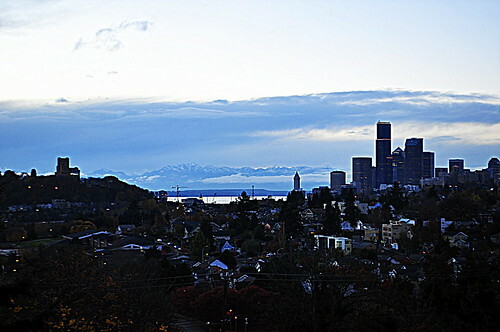 Mount Baker is a favorite among the locals and is located in southeast Seattle. There are many parks located in the area, where yearly events are held, including the Seattle Seafair celebration. The neighborhood has its own light rail station, which can be beneficial for commuters. The neighborhood got its name from the ability of the locals to see Mt. Baker in the neighboring county. Capitol Hill, known for its lively nighttime entertainment, is one of the more popular neighborhoods in Seattle because it is in the center of the city's business district. In this neighborhood, the Capitol Hill Block Party is hosted every year. Residents have numerous churches, bookstores, coffee shops, bars, and more to choose from in the area, which makes the neighborhood more enjoyable to live in. A true gem in Seattle, South Lake Union offers residents a mix of the city life and rustic-style living. There are many of the necessities, from restaurants to bakeries, along with some of the outdoor activities that many people enjoy, from kayaking to fishing boats. The up-and-coming neighborhood is continuing to grow and offers visitors new activities, such as the Center for Wooden Boats, where guests can rent a wooden sailboat.